Thanks to this nation’s incoherent and inconsistent gaming laws at the federal level, the Daily Fantasy Sports industry is working overtime to deal with potentially 50 different state-level regulations. But don’t feel sorry for DFS operators. Regulation is what the industry wants. After DFS exploded into the nation’s conscience by purchasing nearly every commercial spot during the 2014 NFL season, states have struggled with how to deal with the online games. Thus far, 12 states have expressly permitted DFS to operate within their borders while five states have banned DFS. There is legislation pending in about 20 other states to license, tax, and regulate DFS — one of which is Maine. Maine’s neighbor, Massachusetts, was one of the first states to regulate DFS due in large part because it is the home of DraftKings’ headquarters. Pulling DFS out of legal limbo in Vacationland has proven a slow slog so far. Introduced in April by Senator Roger Katz, “An Act To Regulate and Tax Sports Fantasy League Activities in Maine” (LD 1320/SP 449) seeks to legalize and regulate all DFS operators. On April 4, 2017 the bill headed to the Committee on Veterans and Legal Affairs, where a public hearing occurred on April 19, 2017. Since then, the Committee has tabled the bill three times where it continues to languish. Most recently, it failed to get out of committee on May 10. The legislature, however, should not waste anymore time to capitalize on the additional revenue DFS regulation would generate while also adding enhanced protections for Maine residents playing the games. Notably, the bill defines “Fantasy contest” as a “simulated game or contest in which one or more players pay an entry fee and compete for and win prizes of value based on outcomes that reflect the relative knowledge and skill of the players and that are determined predominantly by accumulated statistical results of the performance of individuals, including athletes in the case of sporting events.” It specifically exempts fantasy contests from Maine anti-gambling laws under Title 17-A, chapter 39. Ignoring the murky legality of DFS under federal law for now, the Maine bill seems to effectively craft a reasonable regulatory scheme but does not go far enough in generating revenue for the state. It requires DFS operators to register annually with the Department of Public Safety and pay an annual registration fee of 10 percent of its gross fantasy contest revenues for the preceding 12 months, not to exceed $5,000. 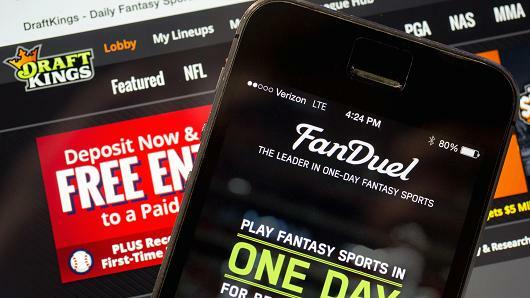 For the large operators like DraftKings and FanDuel, that means a tiny $5,000 fee each year. Shockingly, there is no ongoing tax. Aside from the annual fee, Maine would miss out on significant revenue if the bill passes as is. In addition to the annual fee, the bill also codifies a slew of consumer protections such as prohibiting DFS employees from playing, allowing individuals to put themselves on the self-exclusion list, requiring the operator to establish a separate account for the payment of prizes, and blocking those under 18-years-old from participating. At this point, Maine needs to get on board because the DFS ship is leaving the dock. However, in its current form, the bill leaves easy money on the table. With some minor tweaks, Maine can join the wave of states embracing DFS while generating new revenue and protecting consumers. This entry was posted in Articles and tagged DFS, Maine. Bookmark the permalink.